Did you know that Columbia, MD, has been featured on CNN Money’s Best Places to Live in the United States lists several times? The community was planned in the late 1960s to create a self-sustaining city that would offer jobs, commerce, schools, shopping, medical services, and a variety of house styles to choose from. This community has certainly earned its place on the best of lists. On top of substantial growth and a strong quality of life, there’s several parks and lakes throughout the community. Columbia is served by a minibus system that can help residents get around to the shopping and village centers throughout the area. However, drivers looking for a reliable pre-owned vehicle can always find something they love at a used car dealer near Columbia. All you have to do is come see us at MINI of Annapolis. 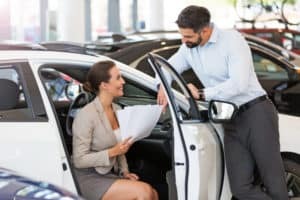 When it’s time to find the right vehicle, there’s no better place to go than your used car dealership near Columbia, MD. We’re a short distance away, so getting to our dealership to take a look around is easy. However, you don’t have to hit the road to browse our used car inventory. You can actually stay at home and check out our used car selection on our website. You can easily sift through the different makes and models to come across a model that has exactly what you’re looking for. Once you’ve had a chance to browse our inventory, you’ll want to take the trip to our used car dealership from Columbia to get a closer look at the model you’re interested in. When you arrive, you’ll get the help you need from our used car experts. They’ll provide you with the important details you’re looking for so you can comfortably decide on the right vehicle. They’ll even put you right in the driver’s seat so you can experience the vehicle during a test drive to see what it’s like so you can confidently decide if it’s the right vehicle for you. After you’ve experienced the vehicle in a test drive, you’ll know exactly how you feel about the car. If you’re interested in taking it home, we’ll take you to our Finance Center so we can start hammering out the details to get you on the road in your new car. Our financiers will go over the important details and options so you can get a sense of your best financing choices. We’ll strive to have you drive off our lot happy with your vehicle and the deal we got for you. When you’re in the market for a reliable used car, you can always come and see us at MINI of Annapolis to get started. We’ll help you every step of the way to find you a pre-owned vehicle that you’ll love.